I feel as if I've been away from my blog for an eternity; I hope you've all been keeping well and have had an amazing weekend. Audrey Hepburn is a massive inspiration to me. I think she is an icon; she was a strong and confident woman who carried herself with grace and wasn't afraid to be different. If I can live my life being half of the woman Audrey was, then I'll consider it a triumph. 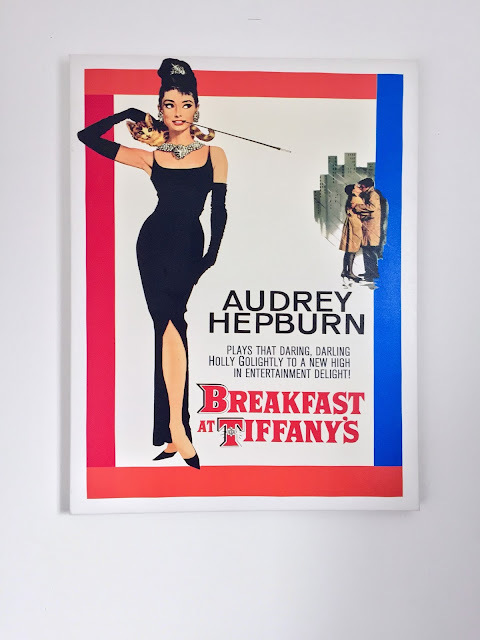 So in my search for revamping my office, I discovered the wallpaper for my Audrey feature wall, and everything else sort of fell into place from there. I'm also massively motivated by fashion (in case you didn't guess from my blog!) 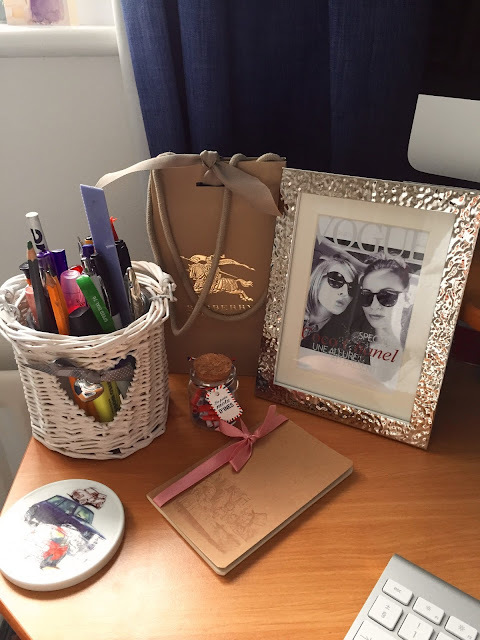 so I wanted my space to also reflect that and to be somewhere where I could house my ever-growing collection of Vogue magazines (another post for another day I think!!) and my collection of fashion literature. Fashion drives me and inspires me, so having it all around me inspires me to work hard so I can earn the money to pursue my love, be it to travel to London to see the latest exhibition or to simply save to buy an iconic designer piece. I always have a bunch of flowers on my desk; it's something I've just started to do and I think on a dull day it definitely helps to bring a bit of summer into the office and helps to lift my mood! There are a few little bits and pieces on my desk, but I try to keep it relatively clutter free. 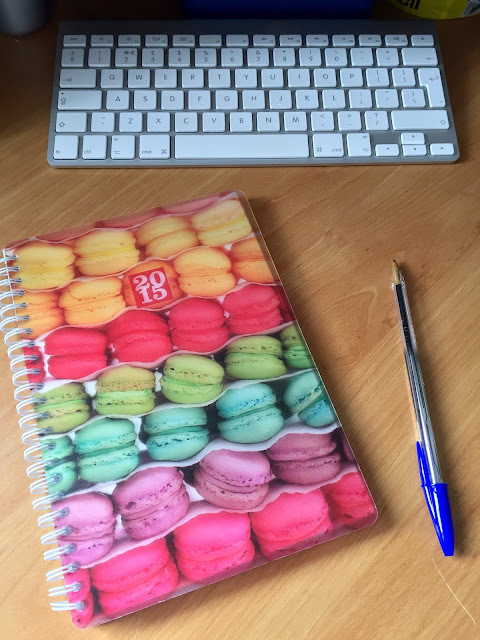 I had to share my macaron diary though; my life is in that book and it reminds me of some of my favourite things such as Paris, Laduree and sweet treats!! I love this picture of my VBF (very best friend!) Natalie and I. 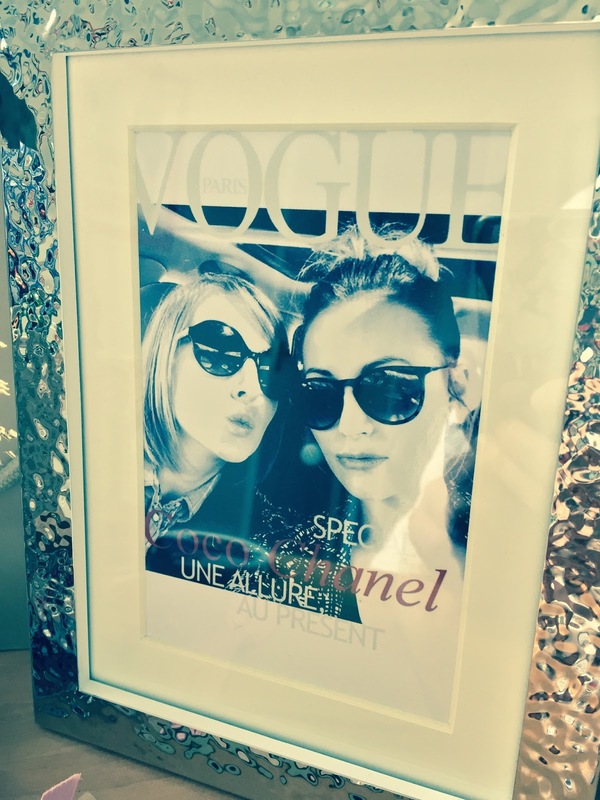 We only recently had it made into a mock Vogue cover so I framed it and added it to my desk. Apart from my mister and my Mam, Natalie is my favourite person in the world. She is my best friend and is like a sister to me! We took this selfie for a giggle and every time I see it, it makes me smile! Natalie comes on all of my fashion adventures with me. She's such a wonderful, inspiring person and our friendship means the world to me, so what better place to have it than right under my nose for those days when I'm feeling unmotivated to work! 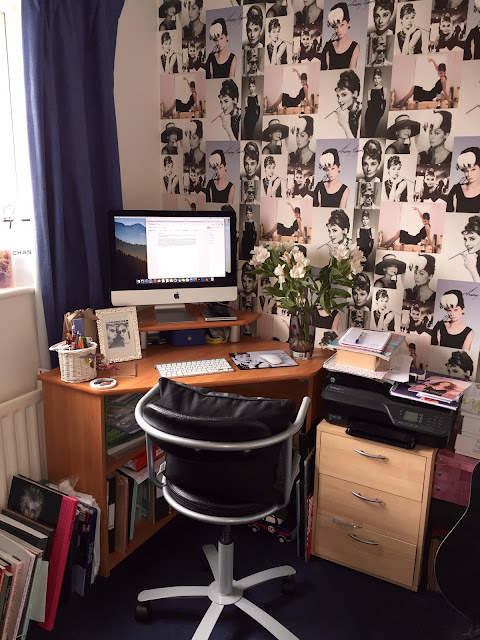 My office space is far from finished; I plan to replace the desk with a chic and modern white one, the Vogues and fashion books are going to be loving displayed on a white bookcase and I could do with some more storage for my vocal coaching materials. Storage is something that our house lacks as a whole, so having some more would definitely prevent the office from looking so untidy!! I love my little corner of the house and I can't wait to see it when it's totally finished. I was inspired to write this post by WeWork, an American company who specialise in providing inspiring shared office space worldwide for entrepreneurs and those who would benefit from having co-workers to engage with and motivate them. They hire out both office and desk space making the format applicable to most small businesses. I think WeWork is a great concept and an amazing idea and definitely removes the solitude of being a sole trader for those who would benefit from it. 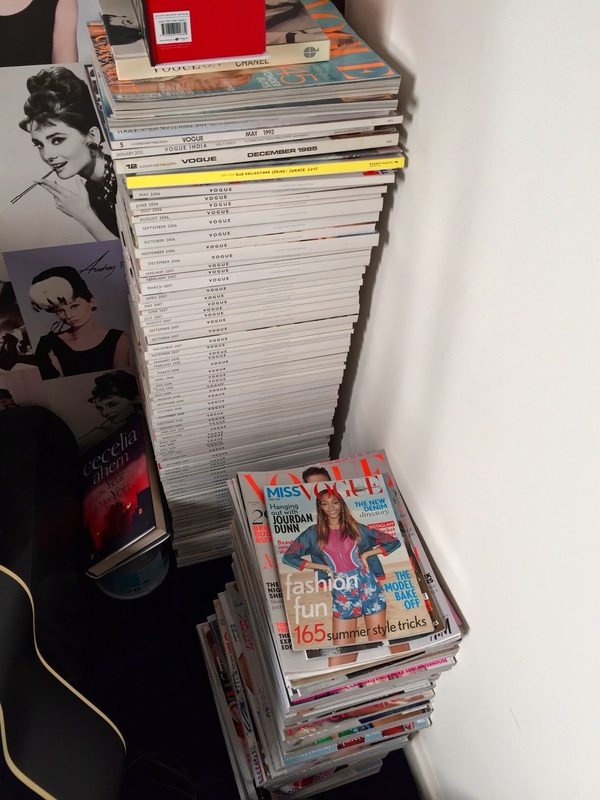 I'm not sure any co-workers would ever appreciate my Vogue collection though...! Thank you WeWork for inspiring me to share my office space! Love your little office space, it's so you and looks really great. I'm so excited about getting to work on our office in the new house, I have so many plans for my desk. It's definitely the room I'm most excited about but unfortunately we've had to mark that room "low priority" as we obviously need to get the bedroom, bathroom and lounge sorted first!